Lake Baikal is the world's oldest lake, at 25 million years. Located in the south of the Russian region of Siberia, it is the most voluminous freshwater lake in the world. 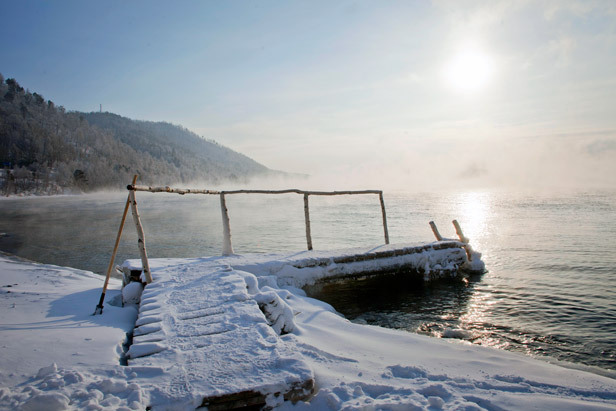 In the past, the Baikal was respectfully referred to by many Russians as the "Baikal Sea". Lake Baikal has been celebrated in several Russian folk songs. Baikal was also declared a UNESCO World Heritage site in 1996. The lake, nicknamed "the Pearl of Siberia", drew investors from the tourist industry as energy revenues sparked an economic boom. From December to March local travel agencies offer thrilling dog-sledding on forest tracks along Baikal shoreline. The shortest run of 5 km requires four dogs and costs 40 USD.